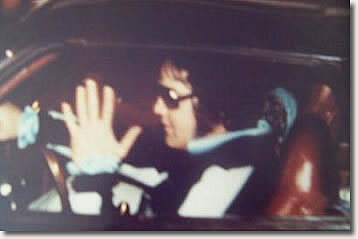 After this photo was taken Elvis took care of last minute tour details and relaxed with family and staff. 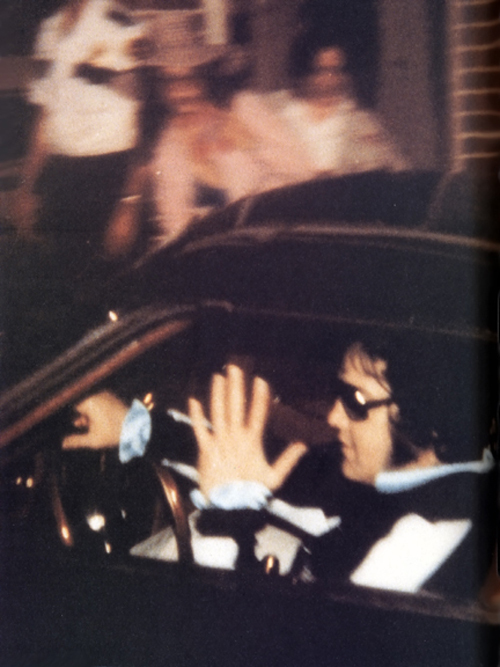 Elvis was to fly to Portland, Maine that night for a concert at Cumberland County Civic Center to kick off his tour. “The King” retired to his master suite at Graceland around 7:00 AM to rest for his evening flight. 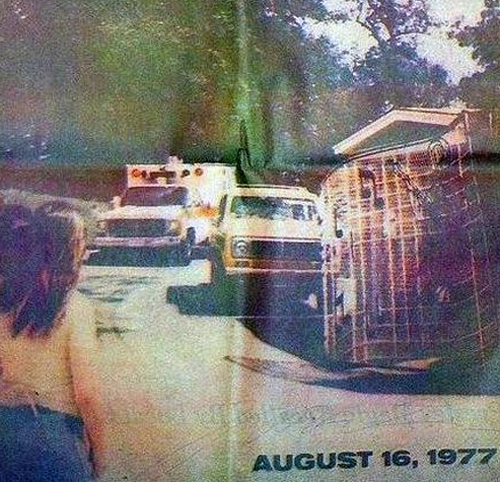 By late morning Elvis Presley is dead of heart failure in his bathroom reading a book..
Here’s a photo of the ambulance carrying Presley’s body leaving Graceland at around 2:56 PM. 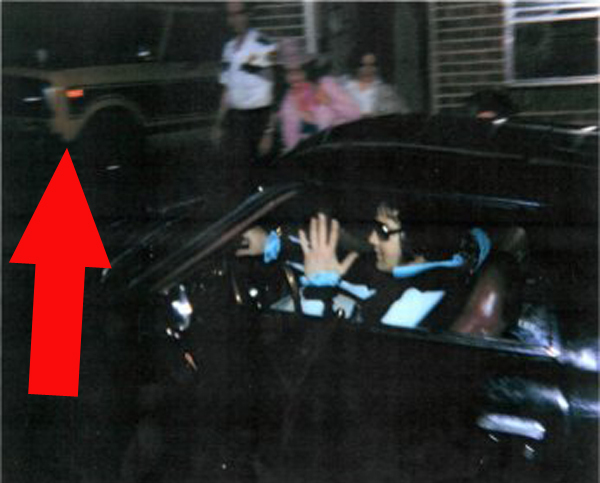 It’s the same entrance where the last photo was taken nine hours earlier. 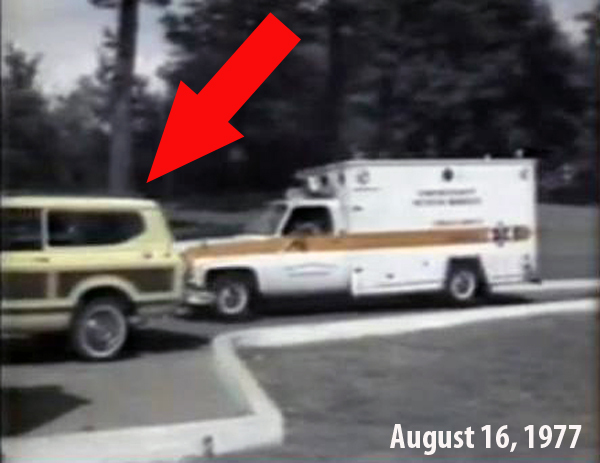 You can see the same yellow SUV parked by the security guard shack in Elvis’ last photo and in the ambulance photo hours later.